It doesn't have to be just one person throwing the barrels either. You could have 4 or 5 people throwing barrels at the same time to make it more difficult. The ideal barrel size would be around the height of a hurdle that runners use. We could also do it in pairs. Having one person dress in blue overalls while wearing a red shirt (mario) and another person dress in blue overalls while wearing a green shirt (luigi). Or for another variation you could have multiple people throwing large barrels down the hill while the two people race up the hill and whoever makes it to the top of the hill first is declared the winner. Or if there is one, gets the lady. Another thing we could do is to have a race against time. If they person or people trying to make it up the hill don't get to the top in a certain amount of time a GIANT barrel or ball of whatever works is thrown at them. And it should basically be large enough to knock them straight to the ground. 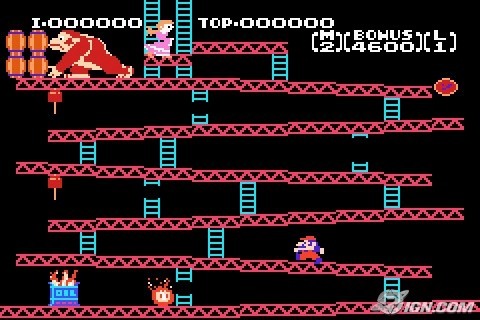 How To: Unlock giant Donkey Kong in Super Smash Bros.